HOW DO YOU SOLVE YOUR OWN MURDER? Everyone believes Alex is in a coma, unlikely to ever wake up. As his family debate withdrawing life support, and his friends talk about how his girlfriend Bea needs to move on, he can only listen. But Alex soon begins to suspect that the accident that put him here wasn’t really an accident. Even worse, the perpetrator is still out there and Alex is not the only one in danger. As he goes over a series of clues from his past, Alex must use his remaining senses to solve the mystery of who tried to kill him, and try to protect those he loves, before they decide to let him go. I know I said I’m taking a break, and I am. But I couldn’t wait to get my thoughts out on If I Die Before I Wake. IIDBIW is billed as a psychological mystery, and it is, but it is so much more too. When we meet Alex, he’s lying in a hospital bed, with all those around him believing he’s in a coma. Yet he can still hear, and feel, and think for himself. He just can’t move. He is trapped in his own body. We see everything from Alex’s perspective, and along with him, we learn that his climbing accident may have been something more sinister. As his visitors come and go, we all learn a little bit more about them all and how they fit into Alex’s life before the fall. If I Die Before I Wake is a very clever novel. I loved the fact that the main character was male, as it’s not the usual thing in the psychological thriller genre lately. The narrative is brilliantly told, and with each new piece of information gleaned, the tension rises. I found myself unable to put the book down. So much so that I read almost all of it in one day. Today, in fact. The characterisation is excellent. We learn a little about everyone. Family members, friends, their various experiences. All of this lends itself really well to how I felt about Alex. I was rooting for him from the very beginning. Willing him to move, to talk, to do anything. I loved how the author built tension throughout the book. More than once I had to remind myself to relax. I was getting so caught up in the story that my body was rigid! It also makes the reader feel a range of emotions for all of those involved too. Compulsive, engaging and thoroughly gripping, If I Die Before I Wake is most certainly a book to watch out for in 2018. I can’t wait to see where this author goes next! 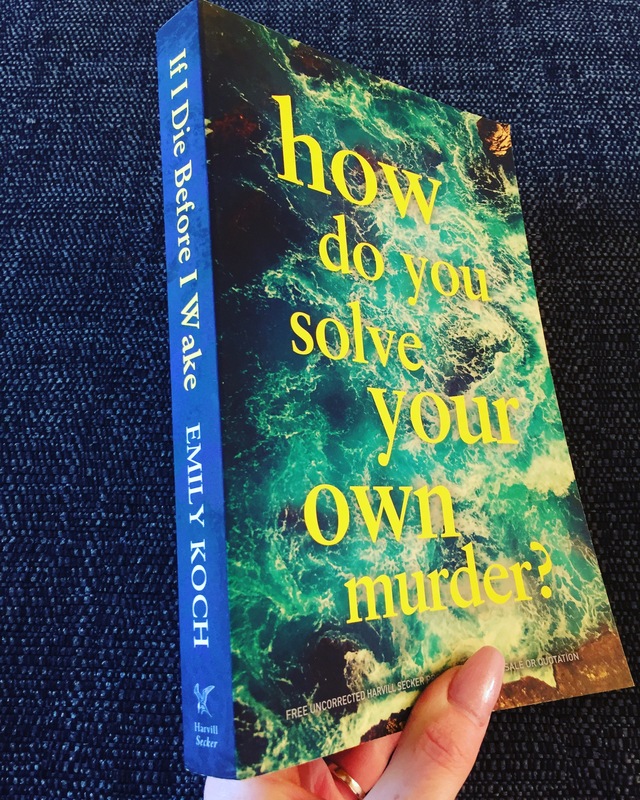 Check out the book, If I Die Before I Wake, b Emily Koch, as featured on the Bibliophile Book Club blog.